Last week I watched the 90-minute documentary, “No Room In Paradise” (2016) on Hawaii News Now. Filmmakers Anthony Aalto and Mike Hinchey of Green Island Films followed Justin Phillips, homeless outreach field manager for the Institute of Human Services (IHS), as he visited homeless communities around Oahu. The documentary showed the many faces of the homeless, including minimum-wage earners who can’t afford a home to single-mothers, substance-abusers and the mentally ill, Micronesians, veterans, newly-released prisoners, and tent city residents. After watching the documentary, I was saddened and thoughtful. It made me appreciate everything that I have. My 10-year old son was subdued. I commented that we are lucky to have a home and pointed out how using drugs can destroy lives. * Touch is important. We all need human contact. Justin constantly reached out and touched people on the shoulder, showing that he cares and that he is not afraid to touch them. He looks at them directly and turns his body towards them to show that he is listening. * Family matters — community. In the film, a substance-abuser went back to her family on the mainland, and a single mother who had a subsidized apartment was lonely for the homeless camp community. This made me question whether giving someone their own home is really the answer for everyone. Instead of finding single-family apartments, maybe we could match two compatible families. For example, two single mothers could share an apartment, providing each other with friendship, support, security, and childcare assistance. A case manager could help the families come up with a co-housing agreement that covers “house rules” and chores. * Family matters — marriage. In the film, a woman was pregnant, homeless, and already caring for other children. However, I can’t remember any mention of a father for the children, a husband, or a boyfriend. Public assistance programs seem to discourage marriage, but marriage is important for mental health and financial stability, especially when there are children. Maybe we could encourage marriage by 1) offering a one-time, one-year only tax credit for couples with one or more children who get married; and 2) following it up with a one-time, one-year only tax credit for couples who are still married after five years. * Make current housing available. People complain that we are not building enough new, affordable housing. An alternate solution is to make the housing we do have more available for Hawaii residents. While I hate to advocate for any tax increase, maybe we need to impose an exorbitantly high tax on non-resident purchases of homes or apartments. This would discourage out-of-state and international buyers from buying residences in Hawaii, either as part-time homes or investments, and free those homes for Hawaii residents. It wouldn’t cost government anything, and the money from the tax could be designated for the affordable housing fund. Have you ever been homeless? Do you know anyone who is homeless or on the verge of homelessness? What can we do to make a difference? October 22 is Make a Difference Day, a national day of community service. Every year, thousands of volunteers across the country dedicate time to improving their communities and the lives of others. Making a difference starts at home, at school, and at work. You don’t need to wait for one day in the year to make a difference. 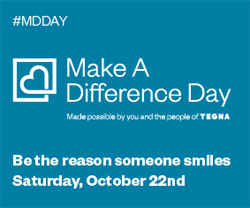 Start a new tradition and create your own Make a Difference Day event! For children and youth, there’s a helpful guide to become leaders and changemakers in their communities. Here are just some of the Make a Difference Day events taking place in Hawaii on Saturday, October 22. Find one that matches your passion! * Honolulu, 6 am to 11:30 am: Walk or run on a 3-mile course at Ke‘ehi Lagoon Beach Park to support Making Strides Against Breast Cancer. Celebrate survivorship and help raise money for breast cancer research. * Honolulu, 1:30 pm to 4:30 pm: Learn how to be an Animal Hero! Students in grades 6-12 can register for a class at the Hawaiian Humane Society ($25 tuition) to learn how to create projects that help animals in their community. * Kaneohe, 8 am to noon: Malama He‘eia from mauka to makai. Kupu is hosting a community work day in the He‘eia ahupua‘a, partnering with three local organizations — Paepae O Heʻeia (fishpond restoration), Papahana Kuaola (forest and stream restoration), and Kākoʻo ʻŌiwi (lo‘i restoration). Register online and meet at 46-077 Ipuka Street. * Mililani, 10 am to 1 pm: Celebrate “Character Counts” in our Mililani community. At the Mililani High School Cafeteria, public schools in Mililani will celebrate character – trustworthiness, respect, responsibility, fairness, caring, and citizenship – with free entertainment, games, and information booths. * Waikiki, 9 am to pau: Help keep Waikiki Beach beautiful. The Waikiki Improvement Association is hosting a Waikiki Beach Clean-Up Day. Meet at Duke’s Statue at Kūhio Beach Park. Transportation will be provided to other clean up areas. * Lihue, 7:30 am to noon: Join the Friends of Kamalani and Lydgate Park for a community work day. Register online and meet at the Kamalani Pavilion. * Wailea, 7 am to 11 am: Join the Maui Spirit of Survival Walk Against Breast Cancer for 3 mile walk starting and ending at Polo Beach. Show your aloha and help raise money for Making Strides Against Breast Cancer. How will you make a difference in Hawaii? Last week, I summarized the constitutional amendments and proposed amendments Hawaii, Maui, and Kauai counties. This week, I’m plunging into the 20 proposed amendments in Honolulu County. Voters in Honolulu County face a big challenge in the 2016 general election: reading, discussing, and debating 20 charter amendments that will have a big impact on our future. I won’t go into detail, but I’ll add some thoughts and questions to think about (my comments in italics). Pay special attention to proposed amendments #4 (HART), #9 (Honolulu Zoo), and #13 (Grants in Aid Fund). 1: Should the Police Commission have greater authority to suspend or dismiss the chief of police and have additional powers to investigate complaints concerning officer misconduct, and should the chief of police be required to submit a written explanation for his or her disagreement with the Commission? Do we need it? Uncertain. There should be some oversight over the chief of police, but I am not sure whether it should be the Police Commission, the Ethics Commission, or another department. Can we afford it? Yes. This doesn’t seem to cost anything. 2: Should the Ethics Commission set the salaries of the Ethics Commission’s executive director and staff attorneys within specified limits? Do we need it? Uncertain. I don’t know who currently sets those salaries. Can we afford it? This doesn’t seem to cost anything. 3: Should the Department of the Prosecuting Attorney control its budget after it is approved by the City Council? Do we need it? Uncertain. Other executive agencies have control of their budgets. Can we afford it? Uncertain. 4: Should a unified multi-modal transportation system be created by: 1) Forming a Rate Commission to annually review and recommend adjustments to bus and paratransit fares, rail fares and parking fees; 2) Placing operations and maintenance responsibilities for bus, paratransit and rail solely in the Department of Transportation Services and providing for the transfer of positions and legal rights and obligations relating to rail operations and maintenance from the Honolulu Authority for Rapid Transportation (HART) to the Department of Transportation Services effective July 1, 2017; and 3) Clarifying the responsibility of the HART Board to establish policies, rules, and regulations regarding the development of the rail system, the internal management and organization of HART, and the allocation of decision-making authority between the Board and the agency’s executive director and staff, and amending the responsibilities of the HART Board to include determining the policies for approval of certain agreements with the federal, public or private entities? Do we need it? Uncertain. It makes sense that the Department of Transportation would oversee rail transit. Currently, the Transportation Commission, the City Council, and HART are all involved in various decision-making. Can we afford it? Uncertain. This seems to dissolve HART (operations) but keep the HART Board (management). I can’t tell if this would save money or cost money. 5: Should the Affordable Housing Fund be used to develop rental housing for persons earning 60 percent or less of the median household income, provided that the housing remains affordable for at least 60 years? Do we need it? No. While this raises the income level from 50% to 60% of median household income, it removes the requirement that dwellings remain affordable in perpetuity. Can we afford it? No. 6: Should departments responsible for the city’s infrastructure needs be required to prepare long-term plans? Do we need it? Yes. Why don’t they already have long-term plans? Can we afford it? Yes. We need to anticipate maintenance and improvements, and not be surprised by emergencies or federal fines. 7: Should the city use its powers to serve the people in a sustainable and transparent manner and to promote stewardship of natural resources for present and future generations, and should the city create an Office of Climate Change, Sustainability and Resiliency? Do we need it? Yes and no. I think we need this at the state level, but not necessarily at the city level. Can we afford it? No. I think it would be very costly to establish and staff a new executive agency, and add more layers of bureaucracy, regulations, and reports. 8: Should a new Department of Land Management responsible for the protection, development, and management of city lands be established? Do we need it? No. We don’t need more government bureaucracy. Can we afford it? No. This seems like a duplication of existing services. 9: Should a Honolulu Zoo Fund be established and funded by a minimum of one-half of one percent of estimated annual real property taxes to pay for Honolulu Zoo expenses to assist the Honolulu Zoo in regaining its accreditation by the Association of Zoos and Aquariums? Do we need it? No. The Honolulu Zoo needs to operate within its budget. Can we afford it? No. Public services, public safety, and infrastructure have a higher priority. 10: Should the mayor’s executive powers and the City Council’s legislative powers only be subject to exceptions specifically provided in the Charter and should the mayor and the City Council be given concurrent authority to establish funds when no appropriate funds of the same type exist and to propose amendments to the annual executive budget? Do we need it? Uncertain. While I support limiting the mayor’s executive powers and the City Council’s legislative powers, Charter approval may limit their ability to respond quickly to a crisis. Can we afford it? Yes. This doesn’t seem to cost anything. 11: Should an approval process and an advisory commission for Clean Water Natural Lands Fund projects be established in the Charter? Do we need it? Uncertain. This creates a new commission and more bureaucracy. Are proposals accepted currently? If yes, who reviews them? Can we afford it? Uncertain. 12: Should all boards and commissions, except for the Board of Water Supply, the board for the Honolulu Authority for Rapid Transportation (HART) and any board or commission mandated by state or federal law, be reviewed periodically to determine whether they should be retained, amended or repealed? Do we need it? No. Board and commission usefulness should be reviewed as needed, rather than reviewed periodically. Can we afford it? No. 13: Should the Grants in Aid Fund be the sole source (with certain designated exceptions) for city-funded grants to federal income tax-exempt nonprofit organizations that provide services to economically and/or socially disadvantaged populations or that provide services for the public benefit in the areas of the arts, culture, economic development or the environment? Do we need it? Yes and no. Yes, because city-funded grants would be awarded more consistently and with less duplication of programs; and city departments and agencies would not need to review grant proposals individually. No, because I don’t know how the loss of funding would affect nonprofits and the communities they serve. Can we afford it? Uncertain. 14: Should the deadline to hold a special election to replace the mayor, prosecutor or councilmembers be extended from 60 to 120 days, and should the City Council be able to appoint a temporary member until a special election is held? Do we need it? Yes, if the current 60 day deadline does not meet state law. Can we afford it? Yes. This doesn’t seem to cost anything. 15: Should the term limit for the prosecuting attorney, the mayor and the councilmembers be three consecutive four-year terms? Do we need it? No. Currently, the mayor and councilmembers are limited to two consecutive four-year terms. I support term limits for elected representatives, but I don’t think the prosecuting attorney needs to have term limits. Can we afford it? Yes. This doesn’t seem to cost anything. 16: Should certain city departments be responsible for their own program planning and small infrastructure design and construction projects, and should the powers, functions, and duties of the Department of Environmental Services be updated and expanded to emphasize resource recovery and include the planning, engineering, design, and construction of all of its projects? Do we need it? Yes. This gives city departments flexibility and control over small projects, low-impact projects. Can we afford it? Yes. This doesn’t seem to cost anything; it could streamline projects and may even save money. 17: Should the mayor have the authority to delegate the signing of documents to certain other city officers? Do we need it? No. The mayor should not delegate signing authority. Can we afford it? Yes. This doesn’t seem to cost anything. 18: Should the Fire Commission be expanded from five to seven members, and should the fire chief’s powers, duties and functions be updated to reflect current services? Do we need it? No and yes. No, I don’t think the Commission needs to be expanded. Yes, if the Fire Chief already performs these duties. Can we afford it? This doesn’t seem to cost much, except perhaps a salary increase for the Fire Chief. 19: Should the requirement be repealed that no more than five of the City Council Reapportionment Commission’s nine members be from the same political party? Do we need it? No or not applicable. The Commission should be nonpartisan. Can we afford it? Yes. This doesn’t seem to cost anything. 20: Should the Charter be amended for housekeeping amendments (i) to conform to current functions and operation, (ii) to conform to legal requirements, (iii) to correct an inadvertent omission, and (iv) for clarity? (a) Require the books and records of all city departments be open to public inspection; (b) Require the Department of the Corporation Counsel to update the Charter by July 1 of the year after the election at which Charter amendments proposed by the Charter Commission are approved by the electorate; (c) Require the Charter Commission to submit amendments to the Office of the City Clerk five working days before the deadline for ballot questions to be submitted to the state Chief Election Officer; (d) Require that all written contracts of the Board of Water Supply and the Honolulu Authority for Rapid Transportation be approved by the Department of Corporation Counsel for form and legality; and (e) Require that the city centralized purchasing practices conform to the state procurement code. Do we need it? Yes, if these procedures and operations are already performed. Can we afford it? This doesn’t seem to cost anything. The Office of Elections compiled a Factsheet of Constitutional and Charter Amendment Questions. With so many decisions to make, I encourage everyone to think about these issues before voting. Discuss them with family and friends. Be one of the decision-makers who will determine our future. Which issues affect or concern you most? How will you vote in the general election? I’m not sure whether to be pleased or dismayed by the number of the proposed amendments that will be decided by voters this year. In addition to selecting the best candidates for elected office, Hawaii voters have many decisions to make that will have a big impact on County charters and our future. There are two proposed constitutional amendments on the 2016 general election ballot this year, and an assorted number of proposed charter amendments: one in Hawaii County, five in Maui County, seven in Kauai County, and twenty in Honolulu County. This week, I’m taking a quick look at the constitutional amendments and proposed amendments Hawaii, Maui, and Kauai counties. I won’t go into detail, but I’ll add some thoughts and questions to think about (my comments in italics). Next week, I’ll tackle proposed amendments in Honolulu County. 1: Relating to Jury Trials in Civil Cases. Shall the threshold value in controversy requirement for jury trials in civil cases at common law be increased from $5,000 to $10,000? Do we need it? Yes. Jury trials are expensive, both in terms of money and jurors’ time. We shouldn’t waste it on low-monetary value cases. Can we afford it? Yes, there should be no cost to make this change. 2: Relating to the Disposition of Excess Revenues. Shall the legislature be provided, when the state general fund balance at the close of each of two successive fiscal years exceeds five per cent of the general fund revenues for each of the two fiscal years, the additional alternatives of appropriating general funds for the pre-payment of either or both of the following: (1) Debt service for general obligation bonds issued by the State; or (2) Pension or other post-employment benefit liabilities accrued for state employees? Do we need it? Reluctantly, yes. Though I believe that taxes in Hawaii are high, and ideally “excess” taxes should be returned to taxpayers, we also have obligations to debts and pensions. Can we afford it? It depends. A small refund could make a big difference to people who live paycheck-to-paycheck. But those small refunds also add up to a larger amount that could help Hawaii pay its debts or meet its obligations to employees. 1: Expanding Scope of the County of Hawaii General Plan. Shall the County Charter be amended to change the scope of the County of Hawaii General Plan, which currently sets forth policy for “the long-range comprehensive physical development of the county”, to include long-range policy for matters related to the economic, environmental, and socio-cultural wellbeing of the County; and, additionally, expand those matters which the General Plan promotes to include the health of the people of the County? Do we need it? Uncertain. I’m not familiar with existing plans for economic, environmental, socio-cultural, and physical wellbeing. However, it sounds like the County would take on more oversight or control over policies and budgets. 1: Withdrawal of Signature from Supplemental Petition. Shall Sections 11-4 and 11-5 of the Charter be amended to correct clerical errors and to provide consistency within the Charter by allowing an individual to withdraw their signature from a supplemental petition? Do we need it? Yes, if there are errors or mistakes. Yes, if it allows people to change their minds if they have been misinformed. Can we afford it? Yes. This doesn’t seem to cost anything. 2: Review of Supplemental Petition. Shall Section 11-5 of the Charter be amended to allow the County Clerk twenty (20) days to review a supplemental petition, instead of ten (10) days? Do we need it? I don’t see any problem with allowing the County Clerk extra time to review a petition. It may save money if a review is rushed and then challenged in court. Can we afford it? Yes. This doesn’t seem to cost anything. 3: Emergency Management Agency. Shall the Charter be amended to change the name of the Civil Defense Agency to the Maui County Emergency Management Agency? Do we need it? Unclear. Can we afford it? It depends on how much new signage, publications, and materials would need to be designed and reprinted. 4: Approval of and Qualifications for Various Directors. Shall the Charter be amended to require Council approval of the Mayor’s appointment of the Managing Director, Director of Finance, Director of Public Works, Director of Parks and Recreation, Planning Director, Director of Housing and Human Concerns, Director of Transportation, and Director of Environmental Management and to allow additional qualifications for department directors to be established by ordinance? Do we need it? Uncertain. Hiring by committee could delay appointments, reduce the number of applicants, or cause confusion with arbitrary qualifications. Can we afford it? Rather, what discussions or decisions could be delayed if the Council had to approve hiring decisions? Could an antagonistic Council hold up appointments and leave departments without effective leaders? 5: Office of Council Services’ Attorneys. Shall Sections 3-6, 3-7, and 8-2.3 of the Charter be amended to allow attorneys within the Office of Council Services, in addition to the attorneys within the Department of the Corporation Counsel, to serve as legal advisors to the Council and its members, and to allow the Council to designate, by two-thirds vote of its entire membership, attorneys within the Office of Council Services as special counsel to serve as legal representatives for any special matter presenting a real necessity for such employment? Do we need it? Uncertain. It sounds like it could create a conflict of interest, with legal representatives in a position to influence advisory opinions. Can we afford it? Uncertain. How much is currently spent on “outside” legal representatives, and would additional attorneys need to be hired? 1: Relating to correcting gender neutrality, grammatical, spelling and formatting errors. Shall the charter be amended throughout to ensure that its language is to the greatest extent possible gender neutral and to make changes to spelling, capitalization, punctuation, formatting, and grammar? Do we need it? Yes, if there are errors or mistakes. Uncertain, if the corrections are only for gender neutrality. Can we afford it? It depends on how many publications and materials would need to be reprinted. 2: Relating to expanding the duties of the Fire Chief and defining authority to execute powers and duties. Shall the duties of the fire chief be clarified to include duties currently performed such as addressing hazardous materials, emergency medical services, and ocean safety, and shall the reference to the mayor’s authority to assign duties be removed? Do we need it? Yes, if the Fire Chief already performs these duties. Can we afford it? Yes. This doesn’t seem to cost much, except perhaps a salary increase for the Fire Chief. 3: Relating to establishing a Zoning Board of Appeals to assist the Planning Commission in providing due process for appellants. Shall a zoning board of appeals be established to hear appeals from decisions of the planning director and to conduct evidentiary hearings at the request of the planning commission? Do we need it? Unsure. While there should be a board of appeals, this will mean more hiring, more procedures, and more bureaucracy. Can we afford it? Uncertain. 4: Relating to the Civil Defense Agency. Shall the county Civil Defense Agency be renamed the Emergency Management Agency and its organization clarified consistent with state law? 5: Relating to the percentage of required voters for an initiative petition, a referendum petition, or a charter amendment petition. Shall the percentage of registered voter signatures required to start the initiative or referendum process be reduced to 10 percent from 20 percent, and shall the percentage of registered voter signatures required to start the charter amendment process via voter petition be increased to 10 percent from 5 percent? Do we need it? Yes, this makes it easier for citizens and civic groups to participate in law-making. Can we afford it? Yes, this doesn’t seem to cost anything. 6: Relating to enabling the county clerk to determine what is a valid charter amendment. Shall it be specified what constitutes a charter amendment, and shall the processing of a proposed charter amendment via voter petition be revised to enable the county clerk to determine whether the proposal is a valid charter amendment? Do we need it? Yes and no. Charter amendments should be clearly defined, but the county clerk may not be qualified to make the determination. Can we afford it? Uncertain. I don’t know what costs are involved. 7: Relating to establishing a permanent Charter Review Commission. Shall the Charter Review Commission be an ongoing commission? Do we need it? No. Charter amendments should be done as needed, not on a regular schedule. Can we afford it? Uncertain. It depends on the size of the Commission budget. 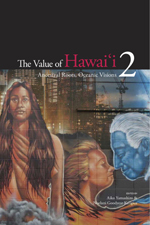 This is the foundation of “The Value of Hawai‘i 2: Ancestral Roots, Oceanic Visions” (2014), edited by Aiko Yamashiro and Noelani Goodyear-Ka‘ōpua. They have collected 40 essays, stories, and poems about “everything we value about Hawai‘i.” The collection is divided into five parts: aloha, mo’olelo (stories and storytelling), kuleana and developing Hawaii responsibly, huakai (finding your position and your way), and pu’uhonua (creating safe and sacred spaces). “The Value of Hawai‘i 2” is at times interesting, frustrating, and thought-provoking. There are four main themes in the collection: 1) we can gain a deeper understanding of Hawaiian values through mo’olele (story) – Royan Oishi; 2) we can become powered and feel connections to each other and the past through mele (song) – Kainana Kahaunaele; 3) “You cannot be a sovereign people if you cannot feed yourself” – Hi‘ilei Kawelo; and 4) the language used in public schools is a milestone to achieving political autonomy – Tiny Grandinetti. * I was intrigued by the challenge to redefine urban living as “island living” and how traditional Hawaiian urbanism was linked to water (not markets, as in Western cities) in Sean Connelly’s “Urbanism as Island Living.” He explains, “The ahupua‘a, in many ways, was the Hawaiian version of a city or town. Hawaiians thus lived among the places where they grew food and obtained resources, sharing surplus resources with other ahupua‘a.” He offers three starting points for island living: 1) maintain healthy watersheds by reclaiming residences/development along stream edges; 2) encourage food production and water conservation by requiring city blocks to have access to common farming areas; and 3) sharing water and electricity resources with a shared system, such as homes in the valley harvesting rainwater and homes along the shore generating electricity. * I was bothered by Eri Oura’s admission, “When I first learned about the evictions and history of injustice in Kalama Valley, I felt ashamed to be someone whose family settled in that contested area” in “My Journey as an Ally for Social Justice.” It made me wonder how much guilt we are supposed to carry about the past and other people’s wrong-doings. What do you value in Hawaii? How can values and practices from the past help us build a better future for Hawaii? You are currently browsing the Better Hawaii weblog archives for October 2016.